Are you one of the many advertisers on Facebook? Well, I’m pretty sure you’re one of them since you’re reading this post. As we know, Facebook is one of the biggest social media platforms that boasts over 1 billion active users, making it a goldmine for advertisers. So, are you looking for one of the most effective ad types to engage users? If yes, I suggest you enter video content marketing. This content shift is bound to enhance user experience and drive the results you’re looking to get from your campaign. Today, many savvy marketers are learning about this effective content format and are using video to give their viewers what they need. Well, video converts! According to Adobe, shoppers that view videos are more likely to buy your product than those who don’t. Well, I’m going to break down just about everything you need to know about Facebook Video Ads, so you can get a better idea of how to get started. Sounds good? Let’s dive in! 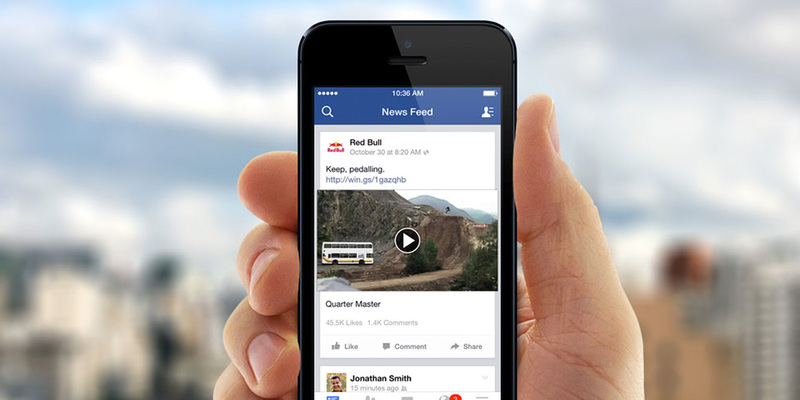 What Are Facebook Video Ads? Facebook Video ads are exactly what you think they are — Facebook advertisements created in video format. 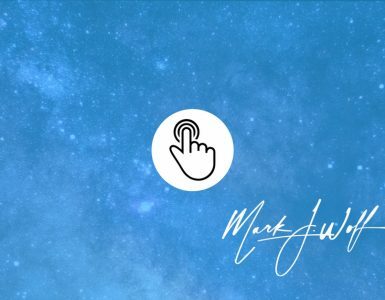 Now you won’t have to waste your time crafting text or uploading an image to engage users. You’ll only need to create your own videos or hire a professional videographer to get the job done. Better still, you can choose to use an existing video for the campaign; just be sure that the video is relevant to your goals. From this point, you can customize the video description, budget, thumbnail as well as the audience you’re looking to serve the ad to. What you should know is that Facebook video ads are one of the surest ways to engage users and keep them coming to your site. Moreover, video marketing goes way beyond Facebook; it’s an effective strategy that performs excellently when it comes to engaging and convert site visitors. 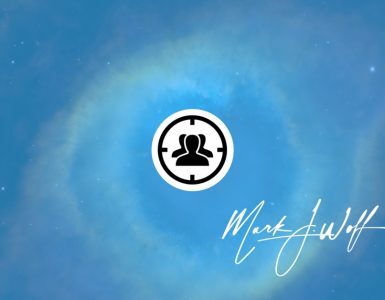 It also works to drive leads down the funnel in email marketing campaigns and to boost engagement across several platforms like LinkedIn, Twitter and Periscope. 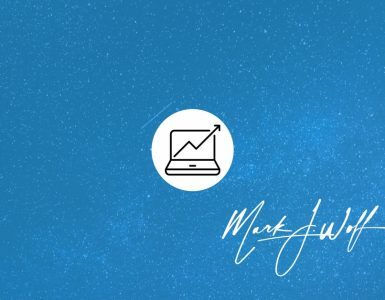 The thing is, the video strategy is huge, and it’s highly recommended to start using it right now! I guess you’re fully convinced that video ads are the truth and you’re now interested in setting yours up. So how can you get started? Well, the good news is, the process is quite similar to setting up and running ads on Facebook. It’s time to select your target audience, budget and ad schedule. 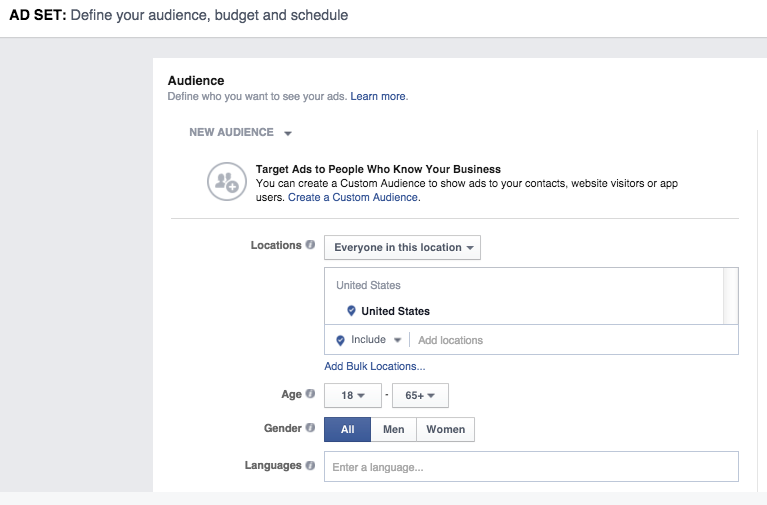 Here’s the good part — you can now create your ad. 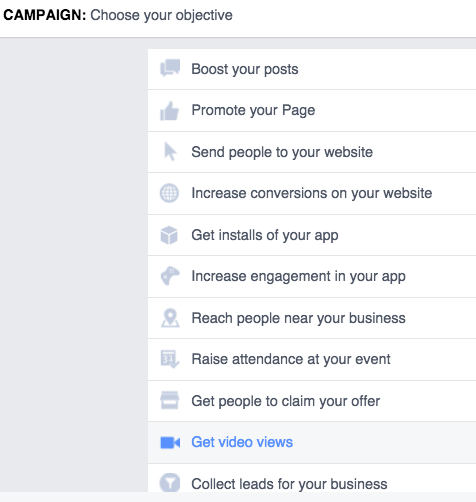 As you can see, Facebook offers you a couple of options to create your awesome video. You can choose to upload a video, pick one from your library or create a slideshow that features multiple high-quality images. It’s also an excellent idea to upload a pre-made video from your desktop or just do whatever tickles your fancy. The most important thing is for you to make the video relevant to your users and business goal. 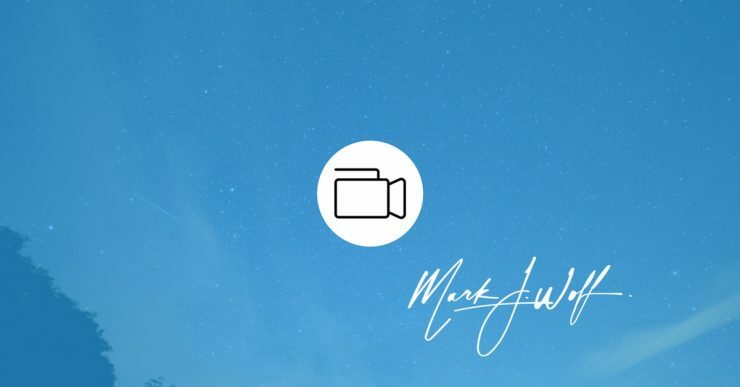 It’s highly recommended to take note of Facebook suggested specs before uploading your video — doing this will ensure users get the best viewing experience. For the most part, Facebook’s format for videos is.MOV files. It’s also great to upload files up to 1 GB with a resolution of at least 720p. Lastly, the aspect ratio should be at least 16.9. Finally, be sure to customize the copy above your video and don’t forget to preview the same. So what’s next? Well, it’s time to watch your video views soar beyond your expectations! Now, this might seem counter-intuitive, but you’ll get to understand when you consider how people view videos on Facebook. For instance, most people tend to browse through their news feeds while in a public place or while taking a quick break at work. Well, I’m pretty sure you know that sounds may not be appropriate in these scenarios, and it’s very unlikely for them to quickly plug in their headphones to listen to a video ad on Facebook. So, if you find that your videos are not likely to convey the message without sounds, I suggest you add captions. The good news is, Facebook is making it super easy for advertisers to automatically add captions to their videos for better user engagement. According to Facebook reports, captioned video ads boost video view time by an average of 12% — so be sure to take advantage of the captions! For starters, Facebook video ads can be 120 minutes in length, and that’s pretty long. Let’s face it; it’s very unlikely for someone to complete a 2-hour video while on Facebook — the chances are very slim. What you should know is that people are not likely to watch those super long videos at a stretch — they’ll obviously get bored at some point. So it’s recommended to make your videos short, engaging and straight to the point — a 30 to 40 seconds video should do the trick. It’s also an excellent idea to place your Facebook video ads on autoplay. This is crucial because you’ll want to engage those multitasking newsfeed scrollers in the shortest possible time and there’s no better way to do this than putting your videos on autoplay. So how can you go about this? Well, you’ll simply need to bid by cost-per-impressions rather than cost-per-click. Well, I’m pretty sure you’re familiar with this strategy, but it’s also worth mentioning. You must remember to get granular with your audience — this is crucial to engagement. Just be sure to cut through the clutter and focus your energy on people that matter. There are quite a number of questions to answer here; which videos drives the most results on your site? What kind of videos do your viewers find interesting? Which webinars have captured viewers attention the most? You must ask yourself these questions and answer them accordingly before starting your video ads. It’s also recommended to take a look at metrics like play rate and engagement of your video content across multiple channels before coming to a decision. The bottom line? Always promote your best content. Okay! Now that your video ads have garnered a quite a number of views, you need to determine if your ad spend is yielding desired returns. You’ll have to learn how many people are clicking your ads, viewing your videos or visiting your website after watching. It’s crucial to get an understanding of how your Facebook video ads perform and affect your target audience. Doing this will give you an opportunity to fine-tune your video production and advertising strategy to ensure your business goals are met in the best possible way. And that’s it! As you can see, Facebook video advertising is huge right now, and it’s pretty clear that it offers great opportunities for your business. The good thing is, setting up a video ad is easy, and it’s sure to drive user engagement in ways you never thought possible. The bottom line? Facebook advertising is sure to take your marketing efforts to the next level. So don’t hesitate to join the trend! I just like the valuable info you supply to your articles. Ill bookmark your blog and take a look at again right here frequently. I’m reasonably certain I will be informed lots of new stuff proper here! Good luck for the following!